Clarity on their role and what is expected of them on a day-to-day basis. Professional development that is personalized, differentiated and typically self-initiated. Strategic relationships with central office staff that make it easy for them to access and use district resources based on school need. Through our work with a group of school districts and charter management organizations (CMOs) — all part of the Bill & Melinda Gates Foundation Leading for Effective Teaching project (LET) — we have learned a lot about what it looks like to provide these three essentials for principals on a systemwide basis. In terms of clarity, it is critical that districts and CMOs focus their work with principals on a reasonable set of high-priority leadership actions. For example, Pittsburgh Public Schools worked closely with all of their principals to determine a set of “power standards” to guide principal growth and evaluation. Other leading districts in this area often begin this focus as early as in their principal pipeline efforts. From there they ensure that everything from hiring, placement, professional development, and evaluation is heavily weighted toward their priority leadership actions. Imagine a scenario in which each day a principal arrives at work with a full understanding of why they were hired, what their work is, and how their success will be measured. When it comes to providing professional development and coaching for principals we are excited by efforts that are moving beyond a focus on the principal supervisor role to a broader emphasis for personalized and differentiated support to principals. 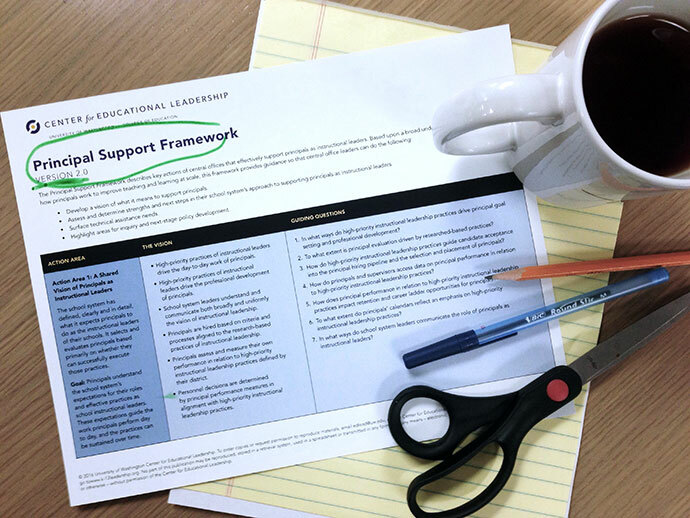 A number of school systems are complementing — not minimizing — the principal supervisor role with adult learning best practices that include principals self-assessing to determine their own learning needs, engaging in cycles of inquiry, and working in professional learning communities with their peers. On the central office side, these systems are finding out that although principal supervisors are a main driver for principal development, they still need to build professional development and coaching systems that draw in other personnel and outside expertise, while allowing principals choice in what and how they learn. Regarding strategic relationships, a number of school systems are taking on broader efforts to partner with principals in areas such as talent management, fiscal leadership, curriculum, and teacher professional development. In these cases, districts and CMOs are moving beyond merely delivering efficient customer service to working side by side with principals and offering proactive and differentiated support based on a principal’s priorities. Provide differentiated and integrated services rooted in an understanding of the needs of each school. Design services that can anticipate and proactively meet the needs of the school. Build relationships with principals that add value to the work of the principal and school. Create a culture of continuous improvement, to learn, adapt and respond to the changing needs of schools. Work efficiently through a well-coordinated and defined set of operational systems. The work of supporting principal success is complex and requires collaboration and cooperation across the central office. We believe that version two of the PSF will provide you with guidance to take your next steps moving in the right direction.